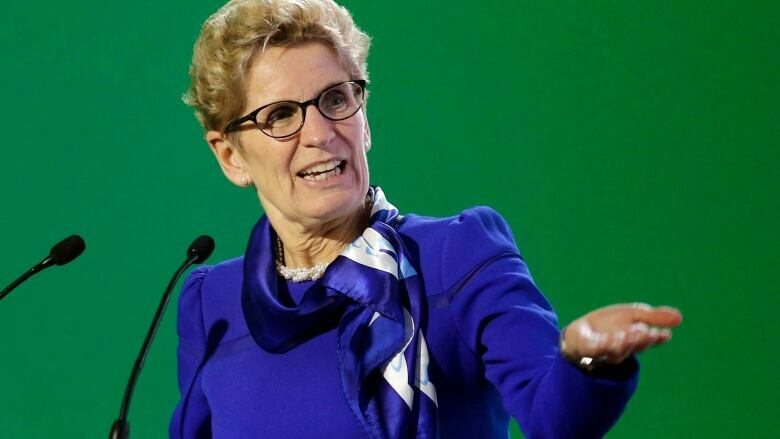 Ontario Premier Kathleen Wynne says the provinces and federal government should be ashamed if they can't find a way to provide clean drinking water to First Nations communities across Canada. First Nations' leaders from northern Ontario declared a public-health emergency last week, asking for a detailed intervention plan to ensure communities have access to safe, clean drinking water. They said a dire shortage of basic medical supplies and an epidemic of suicides among young people were other reasons for issuing their plea for help. Wynne says she'll be pushing the clean water issue when she meets Prime Minister Justin Trudeau, provincial and territorial premiers and First Nations, Inuit and Metis leaders in Vancouver on Wednesday. She calls it unacceptable to have boil-water orders in First Nations communities across the country, and says she wants the leaders to find a way to make sure everyone has safe, clean water. Wynne says if the government's can't work together on something as fundamental as drinking water, they should be ashamed of themselves.